The 2017 Shoot & Share Photo Contest, the word’s largest free and fair photo contest is open for submissions. Last year over 74,000 people were involved from 149 countries around the world, over 225,000 photos were submitted which were then voted on more than 32 million times. 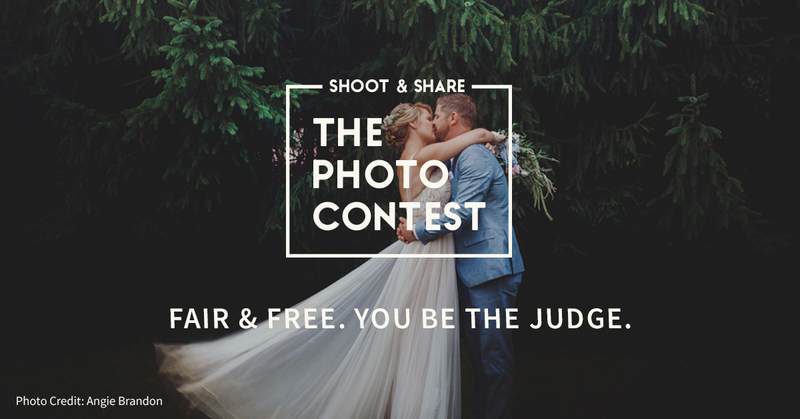 The contest is completely free to enter and up to 50 photos can be submitted into 25 different categories ranging from “The Wedding Couple”, to “People Portraits”, and “Wanderlust”. Voting will begin on February 1st when anyone can join in to vote for the winners; an experience that is both fun and extremely addicting. The unique format of the contest truly means that the best photos rise to the top. By not displaying the photographer’s name next to any photo the “popularity contest” element that can plague other contests is completely eliminated. Voters are instead shown a group of 4 photos at a time from the same category. They simply select their favorite out of the batch and a new group of 4 photos is then displayed. Every photo is given equal opportunity to be voted on and is displayed the same number of times to voters as any other. The contest partners with companies across the photography industry to offer over $75k in prizes. After the contest, it will be free for each photographer to view the stats of their photos as well as to view all of the photos from the contest. PRIZE DETAILS: We’re partnering with some incredible companies to give over $75k in prizes. Cash prizes, free memberships, and workshops are included in this years prize pool. flow, Artifact Uprising. More partners to come! Not eligible to enter? - Find contest where you are. COPYRIGHT: Each photographer retains full ownership and grants Shoot & Share, Inc. the license to use each photo. USAGE RIGHTS: Apart from displaying photos during voting, photo credit will be given to each photographer when possible and appropriate.